We merge our extensive list of journalist contacts with our expertise in writing effective media pitches to coordinate as many reviews, interviews, and TV & radio spots for your book as possible. We've lined up hundreds of spots for our authors in outlets including the New York Times, Washington Post, The Atlantic, USA Today, New Yorker, Time, MSNBC, CNN, Comedy Central, NPR, and BBC. Full media campaigns start at $15,000. We also offer strategy sessions for those who need professional guidance on book publicity but aren't in the market for an entire campaign. Founder and lead publicist. We offer expertise in crafting effective story pitches and a long list of journalist contacts. We know how to navigate the rapidly changing media world in order to line up as many reviews, articles, excerpts, and TV and radio spots for your book as possible. We've helped clients gain national coverage in The New York Times, TODAY, The Daily Show, Late Show with Stephen Colbert, dozens of NPR, BBC and CBC radio shows, The New Yorker, CNN, MSNBC, and hundreds of other top-tier print, TV, radio, and online media outlets. We've worked with a wide range of authors and publishers on literary fiction, popular nonfiction, memoirs, and academic and lifestyle titles. Among the books we've promoted: MARCH, the #1 bestselling and National Book Award-winning graphic memoir by Representative John Lewis; #1 NYT bestseller ON TYRANNY: TWENTY LESSONS FROM THE TWENTIETH CENTURY by Timothy Snyder; the bestselling memoir THANKS, OBAMA by former Obama speechwriter David Litt; and Shulem Deen's memoir ALL WHO GO DO NOT RETURN, which won a Jewish National Book Award. Leah began her career as a magazine editor at Condé Nast, then worked as a freelance writer for dozens of national magazines and newspapers. She graduated from Cornell University in 1998 with honors and a BA in English. I worked with a range of authors on all aspects of publicity and social media. Among my clients: I worked with Frank Delaney, NYT bestselling author of IRELAND, on 4 books of historical fiction published by Random House and helped create and promote his weekly podcast on James Joyce's ULYSSES. 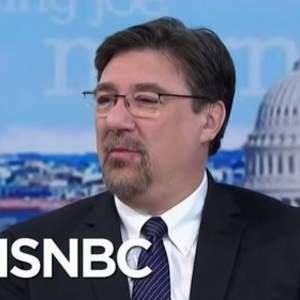 US Naval War College Professor Tom Nichols hired Press Shop to help his publisher’s in-house team line up media attention for THE DEATH OF EXPERTISE. It was clear this book, which is about the degradation of learning, knowledge, and experience and how it threatens our democracy, had a lot of potential in the wake of the 2016 election. Nichols, a Never-Trump conservative, wanted to make sure he could spread the book’s message as widely as possible. We coordinated multiple national spots for Nichols, including MSNBC’s The Last Word with Lawrence O’Donnell, CNN’s The Lead with Jake Tapper, and The Tavis Smiley Show. Radio and podcasts we lined up included WNYC’s Indivisible radio, Slate’s The Gist podcast, KQED Forum, KABC, Think on KERA, and others. Nichol’s book sales exceeded expectations and our PR contract was extended by Oxford University Press. The book spent months in the top 1,000 on Amazon, was a Canadian bestseller, and went into multiple printings. Nichols' work "defending experts in an anti-factual age" was named one of Politico’s ’50 Ideas Blowing Up US Politics’ in 2017. Nichols appeared multiple times on the show after publication of THE DEATH OF EXPERTISE. He was interviewed both in a one-on-one format and, fittingly, in a panel of experts. Mike Pesca spoke with Nichols in a segment called ‘Up With Eggheads’ and asked if experts are taking the fall for decisions made by people in power. 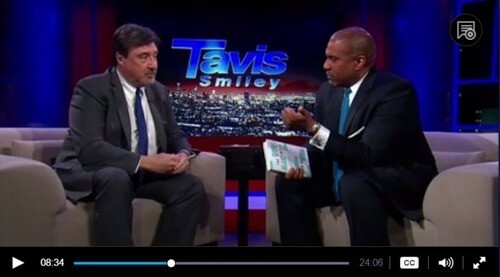 Nichols did a 30-minute interview with Smiley on this nationally broadcast PBS show. 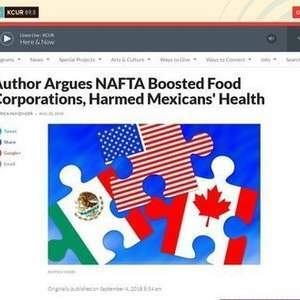 In the summer of 2018, we worked with Professor Alyshia Galvez and University of California Press to publicize EATING NAFTA: TRADE, FOOD POLICIES, AND THE DESTRUCTION OF MEXICO. The book described a little-discussed side effect of NAFTA: while the world awakens to Mexican cuisine, Mexicans themselves are often unable to afford the food they’ve eaten for centuries. The national diet is now heavy on inexpensive processed foods and sugary drinks, which has caused an epidemic of diet-related ailments. We knew there was a chance this book could be pigeonholed as an academic book meant for a niche audience. But it wasn’t that. It’s a colorfully told story and a new way of thinking about a much-analyzed treaty. We always look for as many angles as possible with which to pitch a book. This one was generous in that regard--it gave us many distinct media categories to pursue. We pitched food outlets and went to journalists interested in the history and social importance of food. We knew the trendiness of high-end Mexican cuisine would help. We also pitched journalists that cover the ins and outs of food and agricultural policy, especially those that have written about NAFTA, and those that focus on Hispanic issues. Due to Trump’s threats to revoke NAFTA, we were also able to line up some more timely pieces pegged to the news cycle. This in-depth, front-page piece was a nice balance of hard reporting about agricultural policy and interesting details and insights for lay readers. It was picked up by Eater and MSN News, giving it even more visibility. This popular show hosted by Evan Kleiman is on Los Angeles NPR affiliate KCRW. This is a great interview that will leave you wanting to head to the closest taqueria. Galvez is bilingual, so we were able to pitch the book to Spanish-language outlets. This hour-long interview with Samuel Orozco went very well and brought in some other media requests. This public radio collaboration between KUCI, KCUR, Iowa Public Radio, and others, spotlights food and farming in the heartland. They conducted a book-focused interview with Galvez that was broadcast widely. In his book AMERICAN HATE, community activist, civil rights lawyer, and law professor, Arjun Singh Sethi sought to bring a personal face to the spike in hate crimes from the time Donald Trump kicked off his Presidential campaign with a slur against Mexican immigrants. The book showcases 14 unfiltered, first-person narratives from people who were targeted because of their race, ethnicity, religion, or sexuality. We worked with New Press and Sethi to ensure this book got the widest possible airing in the media and to create a book tour that brought the conversation to community settings around the country. When it came time to write the pitch, we made sure to tie the book to the most recent bigoted rhetoric out of the White House and to the white supremacist marches that were happening around the same time. We also created a Q&A with Sethi to show producers what a potential interview could look like and to illustrate how well Sethi contextualizes these individuals’ stories in the current socio-political moment. While the book is harrowing, it is also hopeful, so we highlighted the survivors’ bravery and remarkable optimism even after experiencing the worst of Trump’s America. This national NPR show had Sethi on to discuss the book and the recent march by white supremacists in Washington. This segment was a full hour, and brought in a lot of other media interest. This widely respected public affairs show out of DC spoke with Sethi for an hour about his book, focusing on the story of Taylor Dumpson, an African-American woman who was elected class president at American University in DC, only to find nooses hanging around campus on her first day in office. The show’s website also published an excerpt was also posted to the show’s website. This extended interview touched on all sorts of issues in the book, especially how the rhetoric and policies of Donald Trump personally affects people in marginalized communities. The AMERICAN HATE book tour featured more than 20 stops around the country, including Politics & Prose, McNally Jackson, the Carter Presidential Library, Powell’s, and the Brooklyn Book Festival. At each bookstore event, we made sure there was a local community group or two that co-sponsored. That helped drive attendance and help spread the word through multiple organizations. The tour gave us ample opportunity to line up local radio spots and features highlighting the book. Former Obama speechwriter David Litt came to Press Shop to help augment the excellent work of his in-house publicity team at Ecco. His memoir, THANKS, OBAMA: MY HOPEY-CHANGEY WHITE HOUSE YEARS was Ecco's lead title and their publicity department put together a first-rate media and event campaign. But more publicity muscle always helps. Using the news cycle to pitch him to national news broadcasts. When Trump gave a speech, we pitched him to radio and to MSNBC and CNN to comment on the language, process, etc. Pitching the book to radio. There are tons of great radio shows on NPR affiliates, Sirius, PRI, BBC, CBC, and local markets. We made sure to book him on as many top-tier shows as possible. Pitching to niche audiences. Since Litt was 24 when he landed a job in the White House, millennial media was a target. He’s also Jewish and he was responsible for writing many of Obama's speeches for Jewish holidays. That was a good hook for Jewish media. And, since the political tables had turned since his manuscript had been accepted pre-November 2016, he wanted to place some stories encouraging young people to get involved in politics despite its many challenges. Pitching late-night shows. One hole in the campaign was an appearance on a late-night show. 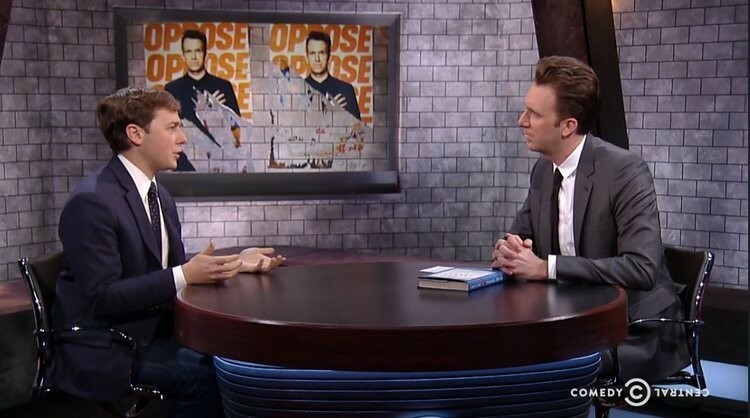 We booked Comedy Central’s The Opposition with Jordan Klepper. The book became a New York Times bestseller shortly after publication. We lined up a Sunday morning spot on AM Joy, and two appearances on The Beat with Ari Melber on MSNBC, one where Litt commented on the headlines out if the White House and one book-focussed segment. This popular Canadian arts magazine show did a fantastic interview, which was syndicated on public radio throughout the US. Tablet magazine’s popular Jewish podcast hosted a lively conversation with Litt. #1 New York Times BestsellerThe Founding Fathers tried to protect us from the threat they knew, the tyranny that overcame ancient democracy. Today, our political order faces new threats, not unlike the totalitarianism of the twentieth century. We are no wiser than the Europeans who saw democracy yield to fascism, Nazism, or communism. Our one advantage is that we might learn from their experience. Award-winning book publicist with experience in the New Zealand, Australian and UK markets. Join Reedsy to request a free quote from Leah and over 1,000 similar profiles.